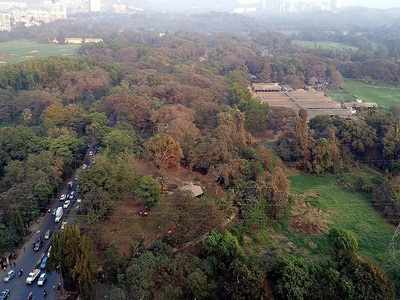 Environmentalists say the conclusion reached by a state government-appointed committee on the status of mangroves on 500 acres of privately-held land in Goregaon (west) is not the whole truth. The panel has said no mangroves were found on the land in question between 2006 and 2017. But environmentalists say “voluminous material” evidencing destruction of mangroves on the land was concluded in an order of the Union environment ministry on April 5, 2013. Debi Goenka, executive trustee of the environment group Conservation Action Trust, said, “Largescale destruction of mangroves was carried out by the proponent of a project (for building a golf course, a clubhouse and villas) by building illegal embankments and blocking tidal water flow. Almost two decades ago, the environment ministry set up a two-member committee following complaints from locals and housing societies. This panel visited the site on November 3, 2002, and found large-scale destruction of mangroves. At the time, the ministry also directed the Space Application Centre (SAC), Ahmedabad, to study the status of mangroves on the plot. “A time series analysis was carried out using satellite data between 1990 and 2002. 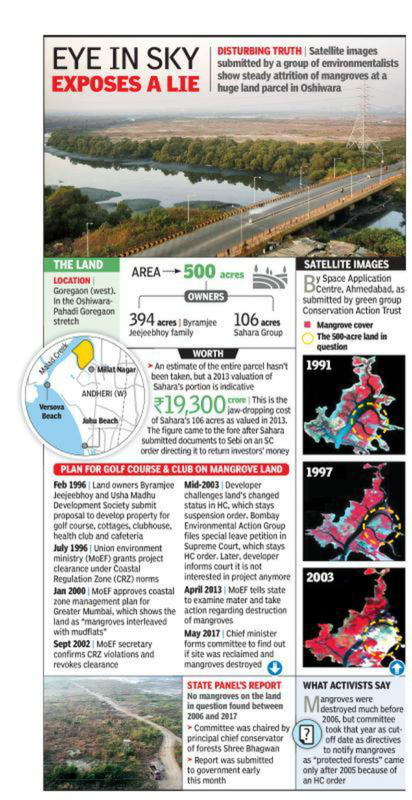 The report by SAC categorically states that dense mangroves existed at the location from 1990 to 1998,” said Goenka. Chief conservator of forests Shree Bhagwan, who chaired the state-appointed panel, told TOI it submitted its report to the government early this month. Prior to a 2005 high court order, mangroves were not included in the definition of ‘protected forests’, the panel said. In January, it approached the Maharashtra Remote Sensing Applications Centre (MRSAC), Nagpur, for a yearwise analysis. MRSAC indicated few changes in mangrove vegetation on the land from 2006 to 2017 and said, “Satellite data of 2006 reveals the same status with few regrown small shrubs. Subsequent open source images of Google reveal the same status—of no mangroves with minor, small perennial scrubs. Analysis of satellite data from 2006 to 2017 reveals that during these years, no mangrove area is seen except for a small patch…” City greens who fought the case up to the SC allege that the state government wanted to release the no-development zone (NDZ) for construction. The land’s owners, the Byramjee Jeejeebhoy family and the Sahara Group, have consistently denied that it had mangroves. Last year, the land was marked by the BMC as a natural area (NA) in the draft development plan for the city. It means no construction can be allowed there. Only a small strip of about 45 acres of the plot has been demarcated for a special planning authority to be used for a public infrastructure project. Earlier, it was reserved for the Metro rail yard.